← It’s the final countdown. Posted on June 3, 2011	by Cat Q. Last night, after Wings, some friends and I started talking about Haiti. It’s been over a year since I got back, and in all that time I’ve never spoken as candidly about what I saw there as I did last night. This post is partly the result of that conversation, and partly inspired by a friend’s semi-recent posts about his own mission-trip. I apologize in advance for all the sap; I am not typically given to sentimentality but sometimes it’s out of my hands. As I’ve mentioned, I never wanted to be a teacher. If I had known this is what would eventually happen, I would have maybe taken some education classes? Maybe majored in English ed? Maybe not scoffed so much when people assumed I was studying English in order to teach? Instead, I dedicated my college experience to learning as much as I possibly could about everything that might one day be relevant to a full-time aid worker, volunteer, or missionary. None of this teaching stuff! 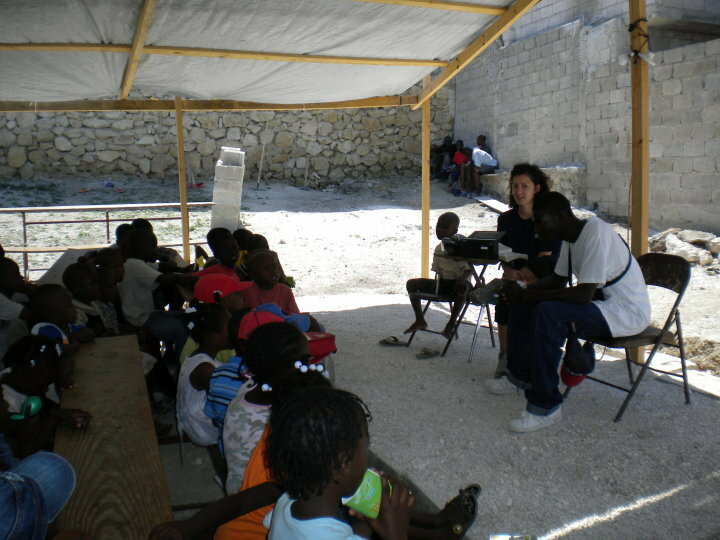 This is what happened: I went to Haiti in March of 2010. I was there to work–removing rubble, smashing things with sledgehammers, swinging heavy buckets of concrete down a make-shift assembly line. I was not there to play with kids or teach Sunday school. I expected to see heart-breaking devastation and spend countless hours before the trip praying that I wouldn’t see too many dead bodies or experience a deadly after-shock. Luckily, there were no earthquakes while I was there, but there were other kinds of ground-shaking things: One was that I met a little boy named Wesley who’d had his head split open during the quake. Another was holding a three month old baby who was found next to her dead parents in the rubble of their home. Still another was suddenly being informed by my team leader that I was leaving the concrete line to teach a group of long-ago and recently orphaned children the story of the Good Samaritan. No, the ground did not shake. Buildings did not fall. But life changed. In a way I didn’t understand until months later. 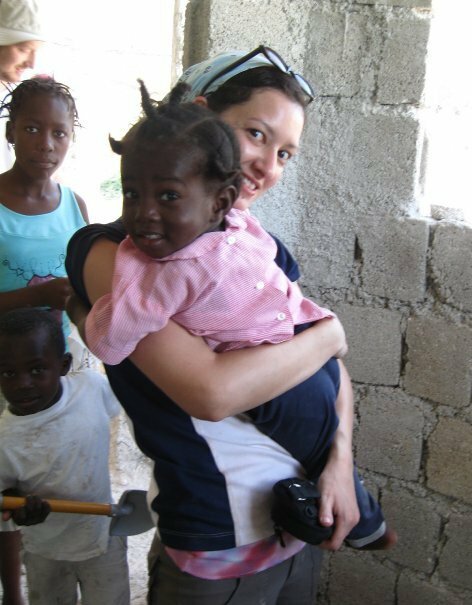 I learned a few things in Haiti that have haunted me and held my heart captive for the past thirteen months. For one, no amount of studying can prepare you for what you will encounter when you visit a country: I really believed that I could talk for days about Haitian history, from the rebellion to the parsley massacre, from the Tainos on through Aristide; I was excited about putting all those years of French classes to work, and even attempted to learn some Creole; I’d studied terrible things like genocide and oppression and trauma communities, and fully understood the scope of the suffering I’d encounter. Really, I knew everything I needed to know about Haiti, or so I thought. The moment I landed in PaP, I learned that I was d-u-m-b. The first thing we saw when we got off the plane in Port-au-Prince was a giant crack running the length of one of the airport walls. We were re-directed from the terminal, since baggage-claim was now completely unsafe, and made to wait in a crowded little area for a bus that would take us to the temporary baggage and customs area. The bus drove past a small army of UN Soldiers. Customs and baggage claim were in a large, empty warehouse. Airport workers unloaded luggage off the back of trucks and tossed them into a large piles. We were warned to keep one hand on our bags at all times because there were luggage thieves lurking in the crowd. After the team assembled, we forced our way through the mass of jobless, homeless men begging outside, stepping over giant pot-holes, rushing past men with automatic weapons slung casually over their shoulders. On the bus, we excitedly pointed out the passing US soldiers (only 30 min in-country and we were already waving down other Americans), and tried to ignore the grown man cussing and beating on the window, even when he proceeded to relieve himself on the side of the bus (right below my window seat). Despite all of my classes in African Diaspora history, Caribbean literature, and Francophone culture, despite recollections of Haiti I’d heard from friends who’d visited before, despite my academic obsession with oppressed and impoverished nations, my first thought when I saw the littered streets and scattered tent cities was of District 9. I saw a chicken picking at garbage on the side of the road and thought of alien internment. It didn’t look real. This was a Hollywood imagining of impossible poverty. This was not a country you could fly to from Miami in an hour. There are some things you just won’t learn in a book or see online. Nobody tells you that you might see a grown man, completely naked, storming down the sidewalk–not because he’s crazy, but because he doesn’t have any clothes. You don’t see a lot of google images of children bathing in buckets on the side of the road. Who will warn you about the heartbreak you’ll experience when you see an old woman sleeping on dirty blankets in the open air? Where are the new reports about the blackmarket sales of all the clothes & supplies that are donated by well-meaning non-Haitians in the after-math of such natural disasters? How can you prepare yourself for hearing, in the casual, disillusioned, desensitized, broken voice of a missionary who has seen too much,stories of young girls being raped while they were trapped beneath fallen buildings, crying out for help only to attract the wrong kind of attention? I don’t know if I actually learned anything while I was there–there is almost no time to take it in. You see it, hear it, smell it, but there’s no time to categorize or rationalize or reason anything out of it until later. It’s all chaos. There’s nothing to make sense of. So, in the moment, you just move; you just act. I saw things as they happened, but I learned to act from the people around us. I heard cries of praise and thanksgiving even as they mourned countless lives. I watched people climb out of their tents in their Sunday best, step over the rubble of their recently devastated homes, and keep living. What I really learned in Haiti is this: no amount of education or training can truly prepare you for what you will see and experience in the service of God or in the service of others. But that’s okay. You just roll with it. You keep moving the rubble even when there are tarantulas beneath it all. You play with the kids even when you know you’re leaving in a few days; those few moments are worth it to you and to them. You get up in front of all those children and you teach the Sunday school lesson on the Good Samaritan even though your French is as choppy as their English a nd you hate teaching. You keep slinging buckets full of concrete down the make-shift assembly line even though it’s hot and you’re tired and you’ve never felt so uncomfortable in all your life. Because who knows what will come of it? Because how could you possibly act differently after hearing the heart-breaking stories you’ve just heard? Everyone around you is in shambles, and yet they move. They literally kick the dust off their shoes and keep going. So you just do it. You do it joyfully and earnestly and you hope to God that you are doing it right, that you are making a difference. It’s worth it. It’s worth it. It is worth it. Before you start thinking I’ve got my heart set on winging it: of course I have been researching American Samoa since last summer when we first applied to the program. I have read teaching essays and articles on second language acquisition and everything that I think may help me when I step foot in my classroom for the first time. I have prepared for nearly everything I think I can be prepared for, but I have also been preparing for how incredibly unprepared I know I will be. That short week in Haiti taught me that it’s okay to be surprised, or confused, or vulnerable, or, dare I say it, unprepared. You improvise. You do whatever you need to do to make it work. You just keep going. This entry was posted in Uncategorized and tagged earthquake, haiti, international aid, missions, travel, volunteering, volunteers. Bookmark the permalink. Also, to be that guy, I did want to say or add something. I spend a lot time thinking about works of humanity. I think a lot about what it means to improve someone’s life beyond their means, you know? I always find myself getting caught up in a personal struggle of wondering what good I am really doing if I am not speaking the Gospel of Jesus Christ to the people that I am doing these good deeds for. If I don’t speak it, then what am I really doing? I’m being a nice person and I am making their lives more comfortable. That’s it. Essentially, I am making their path to hell more comfortable. Some people say things like “preach the gospel at all times and when necessary use words.” Well, as any English major knows, pertty much everything involves the use of words in some way, shape or form. Words absolutley must be used to spread the Gospel. After all, what seperates the actions of a Christian and a theistic humanitarian, especially if the people seeing the actions have never heard of Jesus? How can the poor and needy see Christ if they do not know who he is and what He did? All this to say, I hope to encourage you, as you continue to prepare for your trip and as you are gone, to spread the Gospel verbally so that the people you are around understand who Christ is and what he has done. I am sure you and Wes are very aware of these things Cat. But I often need to write these things to help remind myself of where I am failing as a Christian and strive to be better. Good luck. You are so so right, Jared. I have a tendency to assume that people know that every (good) thing I do is the result of the saving grace of Jesus Christ; but I need to be better about actually saying (writing) that. I especially like this: Use humanitarianism as a platform for spreading the truth of the Gospel of Jesus Christ. yep, just as i suspected, ya’ll got the right attitude. beautiful article.